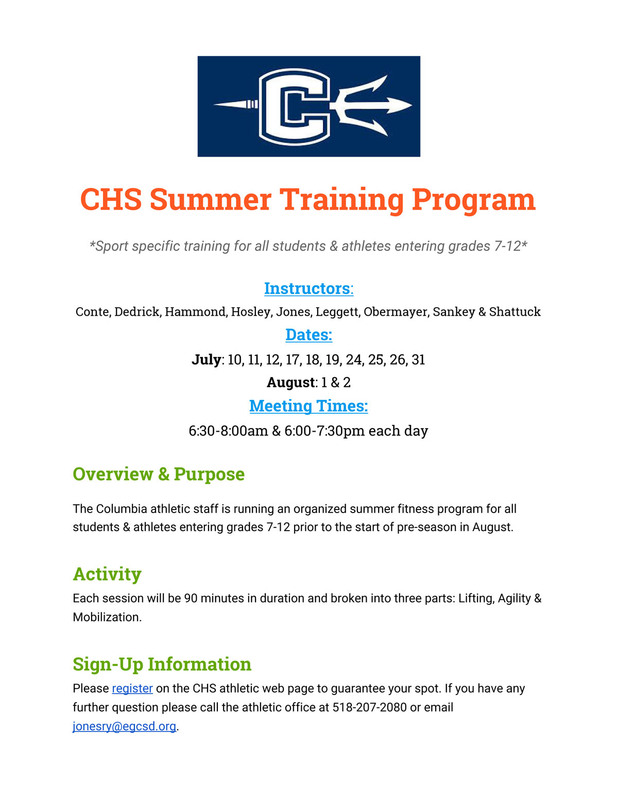 Columbia Athletics is offering a free training program this summer for all students and athletes entering 7th to 12th grade. The training will focus on weightlifting, agility and mobilization and be instructed by Columbia coaches. The training program will take place in the weight room on Tuesdays, Wednesdays and Thursdays beginning July 10 and ending August 2. Students can participate in the morning (6:30-8:00 a.m.) or evening (6:00-7:30 p.m.). There is no cost to participate but students must register in advance.